slides, then manually match them with specimens—often hours later. It’s a system destined for transference errors. 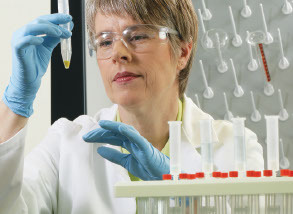 Thermo Scientific™ on-demand slide and cassette printing solutions make accuracy easy. Labelling takes place right at the laboratory technician’s workspace—right when the tissue is processed. No unattended samples; no illegible, handwritten cassettes or slides; no confusion. Grossing—Cassettes are printed on-demand during grossing by scanning barcoded specimen containers and selecting key variables via a simple input device like a barcode scanner or touchscreen. Microtomy—Slides are printed on-demand during sectioning by scanning barcoded cassettes and selecting key variables via a simple input device like a barcode scanner or touchscreen. Immunohistochemistry—IHC slides are printed at the microtome with the necessary text and barcodes to automate the IHC stainer process. Eliminate waste and streamline your labelling process by printing cassettes on demand with the Thermo Scientific™ PrintMate™ AS Cassette Printer at the grossing station. The Thermo Scientific™ SlideMate™ AS slide printer is designed to be highly reliable, and easy to operate. By employing simple mechanics, the SlideMate AS reduces slide-handling problems associated with other slide printers. Reduce identification errors while improving workflow efficiency. Proven PrintMate performance. The enhanced surface finish and reinforced print face of the Thermo Scientific™ PrintMate™ Certified Cassette range partners with our cassette printers. Designed around premium print performance and maximum legibility, they are ideal for both text and barcode printing. Collection trays, marking pens, and more for your SlideMate AS Slide Printer, SlideMate Slide Printer, PrintMate AS Cassette Printer, and PrintMate Cassette Printer.